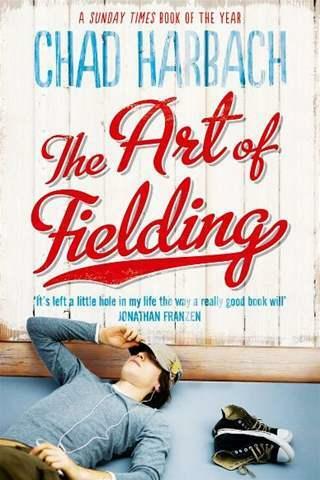 Episode 8: Chad Harbach, The Art of Fielding | Book Fight! This week Tom and I welcomed yet another guest into the Book Fight Basement: Brad Windhauser, our friend and colleague at Temple University here in Philadelphia. Brad admitted up front he had some pretty strong feelings about The Art of Fielding , particularly its characterization (or lack thereof) of its gay characters. The three of us got into it over whether the novel has insights to offer about the mind of the athlete, college life, romance, or sexual reawakenings. Here are links to some of the stuff we talked about in the episode: Buzz Bissinger’s Twitter feed, the B.R. Myers takedown of the novel from The Atlantic (actually, “takedown” makes it sound like a snarky hatchet job; I think it’s actually a well-considered piece of criticism, and I say that as the one of us who liked this book the most), the “puff piece” about the novel by Harbach’s friend Keith Gessen in Vanity Fair, the opening to the TV show Bosom Buddies, and some photos of Brad’s baseball crush Joe Blanton. Oh, and here’s a link to the group blog Brad mentioned on the show, where he and some fellow writers are writing about writing. Feel free to leave feedback in the comments section, or send us an email! Categories: Episodes | Tags: baseball, Bosom Buddies, Harbach, hype, mo money mo problems, Twitter fights | Permalink.